Anthony graduated from the Plant Spirit Medicine course in the spring of 2011, and is inducted as a Lay Spiritual Healer in the Temple of Sacred Fire Healing. 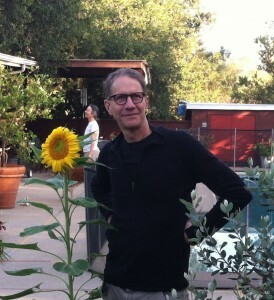 Anthony lives with his family at the east end of the beautiful Ojai Valley, where he has his practice. Anthony is a Plant Spirit Medicine Healer and an artist. These activities offer a path of gathering intimacy with the world. He loves what the plant spirits offer us: a way to meet the natural world, ourselves and others and to find our place as children of the earth. For him, being in relationship in this way feels like a natural birthright and a homecoming. He is grateful to the plant spirits and his teachers for this special gift of the medicine and is honored to share it with his clients.